Book tickets: Highest Point festival at Williamson Park ft. Sister Sledge​. Food & drink news ft. Honest Burgers, Archies opening in Arndale & more. 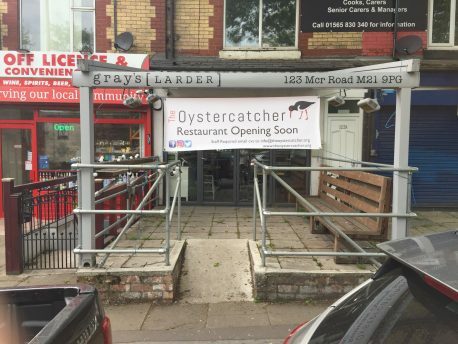 Now open: Ex-Hispi chef's The Oystercatcher seafood restaurant in Chorlton. Ex-Hispi chef, Duncan Ranyard has teamed up with Recep Canliisik (The Lead Station), to launch a new seafood restaurant in Chorlton called The Oystercatcher. Opening at the end of June 2018, the restaurant and grill is located in the former Gray’s Larder space on Manchester Road. As well as many years behind the pass at The Lead Station, Canliisik brings a passion for cooking over charcoal from his family’s restaurant business in Turkey. Think grilled squid with romensco, monkfish tail with Vietnamese sauce to share, flat iron steak, and whole seabass with salsa verde. Prices on the ‘grill’ section of the menu are 12-£20 per person and these dishes will be cooked on an ‘Esse’ charcoal barbeque (made in Burnley), which can cook at around 350oC. As well as imparting great flavour, the high temperate means that some cuts of fish will cook in seconds, according to Ranyard. Other dishes on the menu include crabcakes with brown crab mayo and salt and pepper squid with ponzu to start (all £5/6), mains such as moules frites (£12), cod with clams, asparagus and parsley (£15) and puddings such as rhubarb crumble tart, affogato, and raspberry creme brûlée (all £6). Basically, it’s all stuff you’ll really want to eat. To date, the wine, beer and fish suppliers have yet to be decided on – but local experts such as Out of the Blue (fish) and Reserve (wine) could be involved in some shape or form. Watch this space for more….